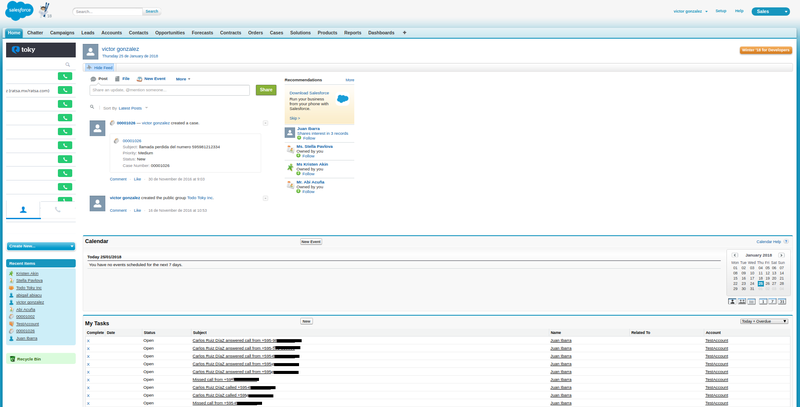 That the Salesforce user creating the integrations is admin or have API access rights. You will need to be logged is as a System Administrator in Salesforce to access these settings. Click in the top right corner, and choose "Setup" from the menu. Scroll down to the bottom, and you'll see "Connected Apps"
Connected App Name is "toky_app"
4. Click the checkbox to enable OAuth settings. Also check that Full access is enabled in the OAuth Scope. If not, please add it. 5. 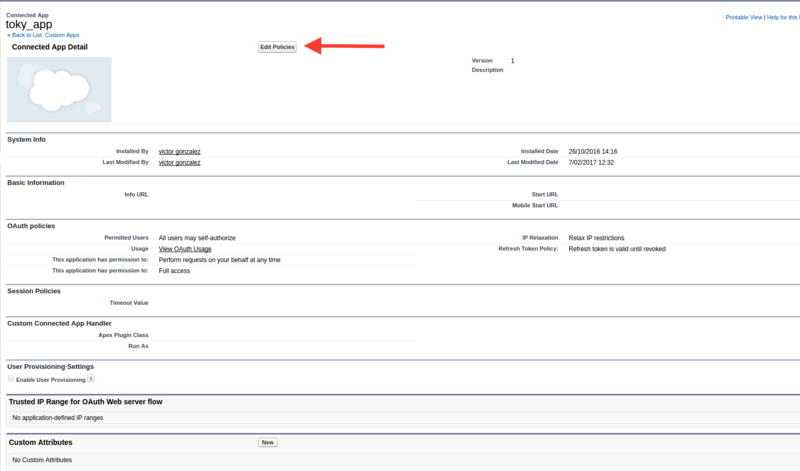 On the next page, under OAuth Settings, you'll see Consumer Key and the option to reveal and get your Consumer Secret. Please save the consumer key and secret, you will use that later to setup Toky Integration with Salesforce. 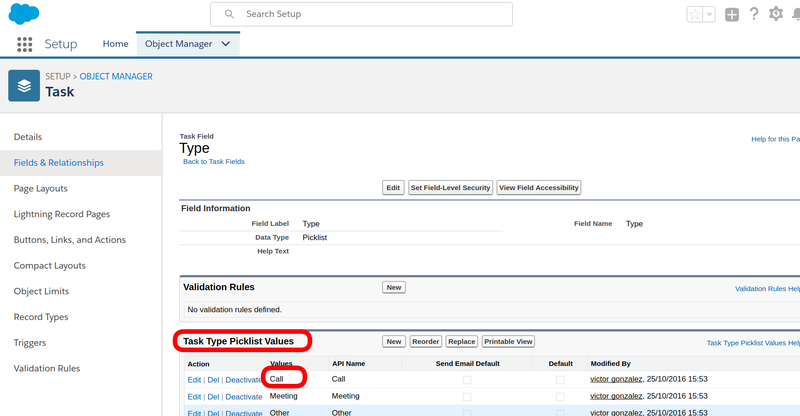 Note: The Task created in Salesforce use the 'Type' field. 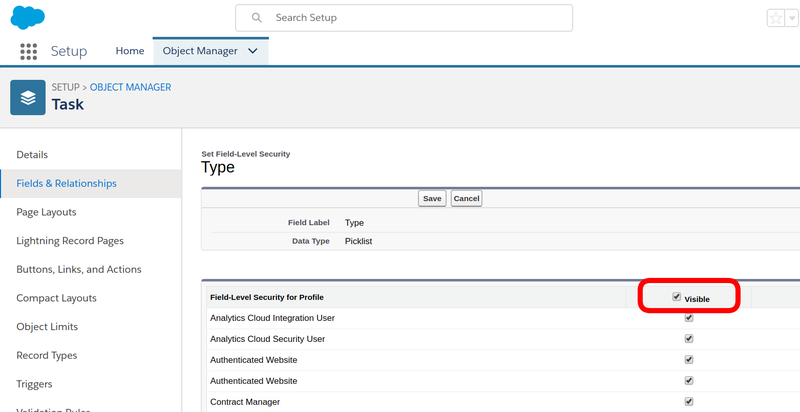 This field could be disabled, to enable it please check this guide https://help.salesforce.com/articleView?id=000193640&language=en_US&type=1 . 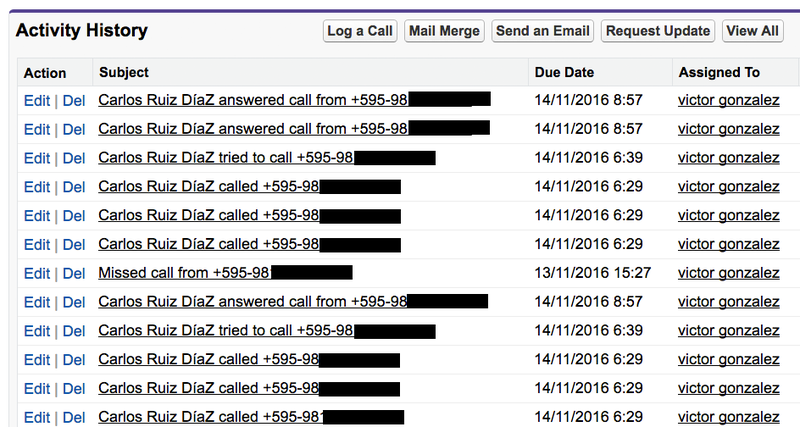 The application for Toky Notifications in Salesforce should now be successfully created. 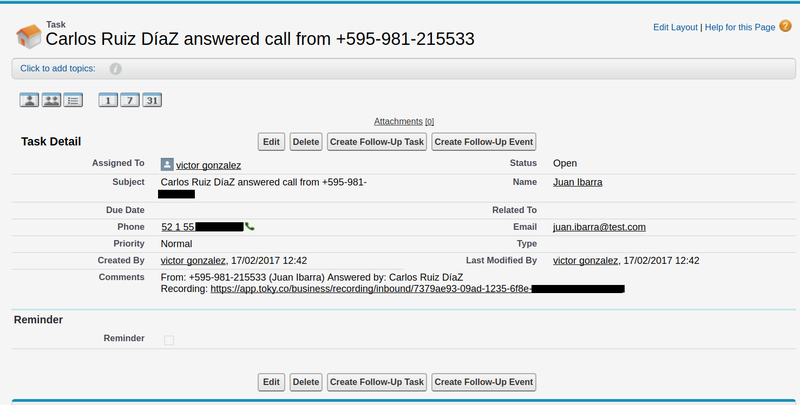 Below you can see images of how the integration creates tasks inside Salesforce, in the sales view. Inside the task you can see more info, also a link to the call or voicemail record in Toky. You can go to Toky Integrations page and finish the process adding the requested information, like matching Toky Agents with Salesforce Users.